Triplex Foreclosures | Learn About Triplex Homes for Sale Here! Most people have heard of the term duplex before, but do you know what a triplex is? A triplex is similar to a duplex, but instead of two units it contains three separate units. The units may be set up with each residence on a separate floor or with three units on one floor sharing common walls. When an owner of a triplex is unable to make his monthly mortgage payments for 90 days or more, the lender has the right to foreclose on the property. Triplex foreclosures provide a rare investment opportunity since generally there is a great benefit to buying multiple units under one property title. Owning a triplex building tends to net an immediate cash on cash return since the options are so flexible. You can easily manage all three properties or live in one unit and rent out the others. It's really up to the owner and as long as you get the property at a discount, foreclosed homes make a great deal. Does Triplex House, Triple Decker House and Tri-level House Refer to the Same Type of Real Estate? These three terms are often confused for the same thing and while they do have a lot of similarities, there are some minute differences that set them apart. A triplex house can refer to all types of triplexes for sale including the other two, but its true definition is seen as a home with three units. The units are usually side by side by side with each unit sharing one common wall with the neighboring unit. This is the most common type of triplex foreclosure and is also sometimes referred to as a semi-detached house. A triple decker home is a three level home with each unit contained on it's own floor. This setup is typically found in apartment style buildings with a separate entrance on each floor. A tri-level house is a style in which there are three different levels. Tri-level homes are generally reserved for single families since the main floor would contain the living room and dining area while the top floor is reserved for bedrooms and the bottom floor contains the basement. Purchasing a triplex foreclosure is pretty similar to buying a regular foreclosure home. You'll have to make an offer at a foreclosure auction that is above the minimum bid set by the lender and then be able to come up with the cash or financing to purchase the property at auction. Buying a triplex home is not all that difficult of a process but finding the right property may take some skill. Since all foreclosure properties must list their notices of sale in local newspapers and courthouses, that's a good place to start looking. A knowledgeable realtor can also help you find and negotiate for a foreclosure home before it ever goes to auction. Once you've found a foreclosure triplex for sale that you like, make sure that you have the financing or cash to pay for the property. You'll have to make a reasonable offer in order to get it accepted by the bank or lender. Don't be afraid to negotiate with the lender since there will always be another property if the price or location doesn't suit your needs. The last thing to consider is the purpose of your property. Are you interested in foreclosure investing to rent the property out and have monthly cash flow? Or are you more interested in house flipping - where you buy the property, remodel it and sell it for a profit? You should know this ahead of time and definitely before you make an offer on a foreclosure triplex. Can I Buy Only 1 Piece of a Triplex Foreclosure? Although there are cases when triplexes are split up, generally you can not purchase only 1 unit of a triplex foreclosure house. Since the property is listed in tax records, mortgage documents and other official proceedings as containing three units, they usually must remain together. Sometimes, the property could already be broken up into three units for tax purposes and then you could buy only one unit at foreclosure but this is very uncommon. Triplex condos are seen as a good candidate for this but most of the time they come to auction as a single property. The options you have with a triplex foreclosure are pretty much endless. The owner has the freedom to decide whether they want to live in one unit and rent out the others or become a full-fledged property manager. No matter what you decide, triplexes present a great opportunity for monthly cash flow and capital appreciation. The most common use of a triplex is for rental purposes. If you invest in a triplex apartment, you now have three units for rent. That's a good thing since vacancies can be a huge part of lost income for property managers. When you have three units, one vacancy will hurt a lot less since you still have the other two units rented out to offset the other. With a single unit home, one vacancy means you have no monthly income until that unit is rented out again. In addition, a lot of the expenses can be reduced if the three units are in the same location. Imagine having three small units across the city or even in different cities! You or your property manager would have to visit all three anytime problems came up. But with three units in close proximity, you can visit two or even all three at once saving you time and money. Another popular option is to live in one unit and rent out the other two. A lot of the benefits are the same here as above, especially if you are the property manager. Since you live next door, you can easily keep an eye on the other units and make sure your tenants treat the property respectfully and you're also always nearby if any maintenance issues come up. Flipping a house is a process where you find a cheap triplex foreclosure home and renovate or remodel it with the goal of selling it for an immediate profit. The key here is to find a property that is undervalued and to make the necessary structural and cosmetic repairs and sell for a profit. A lot of people like homes that are move-in ready so if you can see potential in a property, flipping can be a great way to make money in a short period of time. Since commercial space can be expensive to rent, if you're looking to open a business, a triplex apartment could be perfect for you. On the ground floor would be your business, and you could live on the middle or top floors. Not only would you save on monthly rent for your business, but you would also save on gas, commute time, etc since your business is downstairs from your apartment. Whether you want to make money now or later, investing in triplexes can be a great opportunity. They provide the flexibility of being a business, rental unit or personal residence all in one. 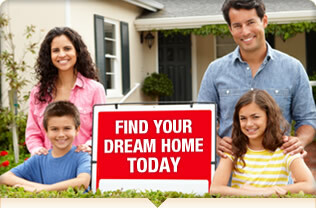 The important thing to remember though is finding a suitable foreclosure property takes preparation and research. You have to know exactly what you're looking for and what you want to use it for before you buy the property. A realtor or experienced foreclosure investor can be a big help if this is your first time buying a triplex. When researching a triplex investment, it's important to think about its location. Is your property located near large employers like hospitals, schools or government? This would be an important factor, especially if you're trying to rent out to young professionals. If your property is more suited for families, make sure that it's close to good schools and located in a safe neighborhood. These are the things you should think about and research before you ever make an offer. Even though there are a lot of things to consider when buying a triplex, the earning potential is pretty amazing. Whether you plan on living in one unit and renting the others or flipping the entire property, make sure you plan ahead and do your research first.